Hello I hope you enjoy viewing Lakelodge, this is a very special place a little piece of paradise, here in Irealnd's Ancient East, Surrounded by the Lake, Forests and country walks. Enjoy nature at is best in your own Lodge, or take a short drive to Mullingar to enjoy Irish country town life. Lake Lodge is located on an old estate, two self catering accommodations are available a short walk the banks of Lough Owel. Enjoy the magnificent history of Westmeath Midlands, discover the fairy fort, a mile of lane way to cycle, walk or run. 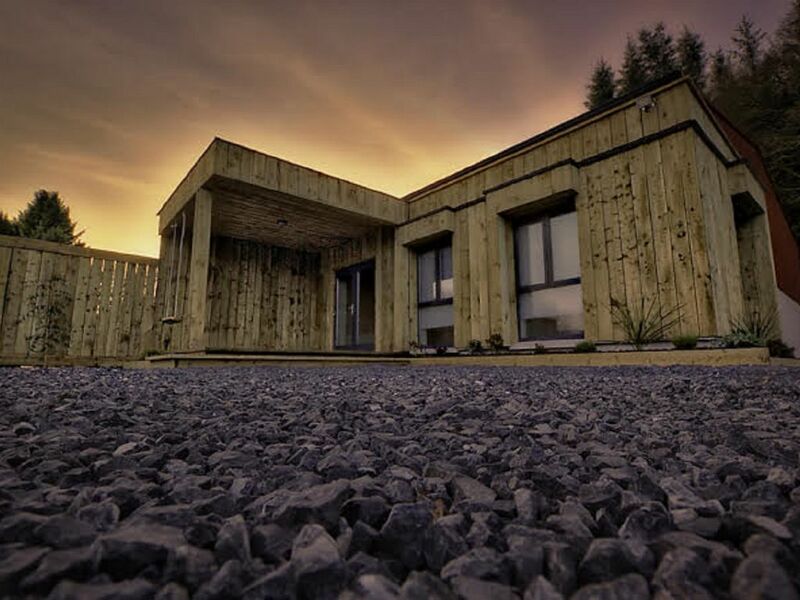 The lodges resides amongst forest and gorgeous surrounding landscape with stunning views of Lough Owel and the surrounding countryside. Escape from the hustle and bustle of everyday life in the peaceful surroundings Set within thirty acres of the rolling hills of Co. Westmeath. A tranquil place to relax and enjoy the beauty of nature. Need to explore 1 km from the N4 leading to Sligo, Dublin or Galway two hour drive. The best of everything. Enjoy Lough Owel at night, swim, walk the thirty acres, discover the forest our special 'hundred acre wood', relax by the wood burning stove with a glass of wine and a good book. We had a wonderful stay. It was clean, quiet and relaxing. Beautiful Ireland countryside and only 1 hour away from Dublin. They offered everything that you would need for accommodations and Jacinta (the host) was amazing. If we make it back to Ireland we'll definitely stay here again. Lovely having you both to stay. Delighted that you both enjoyed your time. Welcome back anytime. Although the location seemed quiet for us, it is perfect for families as it's gated and there is a pub approx. 50yards down the road. The cottage was perfect, very roomy, light and airy and perfect for wheelchair users! We were very well looked after by the site managers (sorry I can't remember you names). We would definitely go back. Häusern gezeigt. Das Bauernhaus z.B. hat keinen Kamin und keinen Treppenaufgang. Hier stand uns für 4 Personen nur ein Badezimmer zur Verfügung. Um den nächsten Pub zu erreichen, wird auf jeden Fall ein Auto benötigt. Das Internetangebot muss auf jeden Fall verbessert werden. Lovely having you all to stay. Delighted that the fishing went well for you, and thank you for your parting gift the trout was lovely. Thanks for input I will work on that. Welcome back anytime.